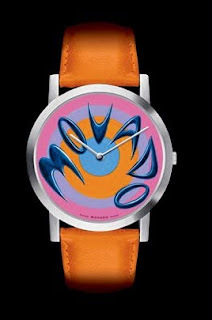 Movado has launched a new Artists' Series. 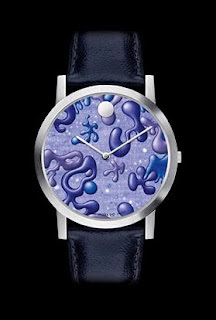 The series based on the popular Museum Watch is in collaboration with American artist Kenny Scharf. 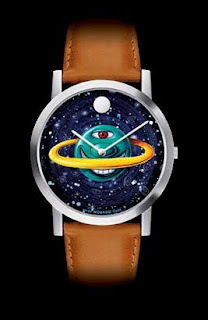 The watches are rendered in 1960s sci-fi style. 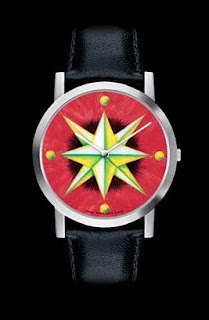 There 6 watches in the series. 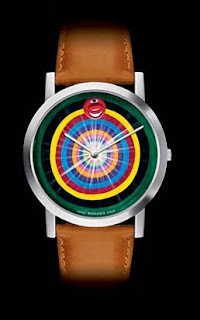 All the watches will be a limited run of 125 pieces per design retailing at USD 695. There will be a 25 box set featuring all 5 designs and will retail for USD 3,495. All the watches will be cased in a stainless steel case and will be powered by a Swiss quartz movement. 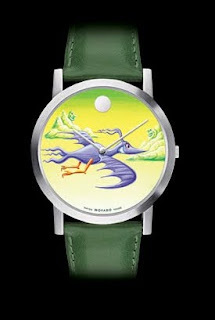 The watches will be fitted with a sapphire crystal that will have Anti-Reflection coating on both sides. The watches will have a water resistant rating of 3 ATM and all the watches will come with a special presentation box with 2 straps.